Coupons | Let's Get Deals Today! Check it out! We’ve moved to a “new and improved” website. The name is the same, our objective the same. What has changed? The design! It’s a whole new look for Let’s Get Deals Today! So come on over and bookmark the new site. Like us on Facebook. Follow us on Twitter, Pinterest, Facebook, LinkedIn and Google+. Read. Enjoy. Save. And share too! All future posts will now be at this site: Let’s Get Deals Today! Play the role of a starlet with Gilt.com’s selection of bling and baubles. Purchase through Mr. Rebates for an extra 4% cash back. These Karen Walker Sunglasses are bling-awesome! Dazzle your friends with a piece of Tom Binns & Anton Heunis Jewelry. Feel like a diva in one of these Transitional Scarves. Unique and unusual more your style? Then look no further than Etsy’s talented craftspeople; get your glam on with a Handmade Silk Scarf or bling it with Unique Jewelry. Or perhaps both! Complete your glam look with Macy’s Jewelry Sale. The deal is on with an extra 15% off this weekend. Use promo code STYLE for online purchases. Mr. Rebates adds an extra 3% cash back. Gilt.com’s Little Bright Dress: What better way to add color than with a little bright dress from Gilt? Best of all: not at a Red Carpet price! AnnTaylor: Be Red Carpet spectacular with the AnnTaylor BOGO sale this weekend. Buy one, get one 50% off. Use promo code SPRINGBOGO for online purchases. Mr. Rebates adds an extra 3% cash back. Lands’ End Family & Friends Event: Dress the whole family at 25% off all regular priced items through February 28th. Use promo code FAMILY and pin 1510 for online purchases. Free shipping on orders of $50 or more. Mr. Rebates adds an extra 3% cash back. Kohl’s President’s Day Sale: Everyone wins an Oscar here! Get an additional 15% off already low prices February 24-26th. Print the YesPass for in-store purchases; use promo code LEAPYR15 for online purchases. Free shipping on orders of $50 or more. Add another 5% cash back – this week only – with Mr. Rebates. 6pm.com: You are sure to find a Red-Carpet-red-hot deal whether you shop their End of Season clearance sale, or their regular sale items. Mr. Rebates adds an extra 5% cash back. Famous Footwear: Do a happy dance with 15% off your entire purchase. Use promo code 15SPORT for online purchases; print the coupon for in-stores. Mr. Rebates adds an extra 10% cash back. Macy’s Shoe Sale: Fulfill your heelish pleasure this weekend with an extra 15% off . Use promo code STYLE for online purchases. Mr. Rebates adds an extra 3% cash back. 4. Movie Night! Make your own movie memories with an evening worthy of the stars. And at these prices, give the whole family the Red Carpet treatment! Start with dinner thanks to a great Restaurant.com deal! Use promo code MEMORIES and pay only $2 for select $25 restaurant deals. Mr. Rebates adds an extra 25% cash back. Now that’s one Red-Hot Deal! End with the big screen. Pre-buy your movie tickets at MovieTickets.com to ensure a front row view of your favorite stars; use promo code Mgoodsa21 for 20% off your tickets. Game on! Challenge your guests to make their own Oscar winner picks. Use the fun MyPicks form to create your own ballot or the pre-made Oscar 2012 Ballot; distribute it as your guests arrive and have each one complete their own ballot. At the end of the evening, award an “Oscar” to the most accurate Red Carpet savvy guest! Best Dressed – Best Strut – Best Bling: Have a “cat-walk” just like the Red-Carpet! Then award an Oscar to the “Best” in each category. Best Predictions: Pick five top categories and take a quick poll right before the winner is announced. Treat the winner(s) with an Oscar. Best “Acceptance” Speech: Have everyone offer up their best Oscar Acceptance speech. Best Dessert: Ask everyone to bring a special dessert and have a taste-testing “pre-Oscar” event. Will it be “death by chocolate” or “sunshine salad” for this year’s best tasty treat? Learn more about Mr. Rebates at: Save More With Mr. Rebates! 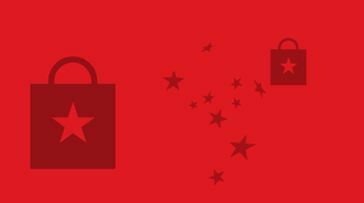 Learn more about Gilt.com at: Is Gilt Your Guilty Shopping Pleasure? Learn more about Restaurant.com at: Let Restaurant.com Get Dinner Tonight! Are you an Oscar fan? Do you watch the Academy Awards show? Do you have plans for Oscar night? Or do you plan to simply snap up some of these great deals? Let us know in the Comments section below. Let Restaurant.com Get Dinner Tonight! Just wanted to let you know that I have relaunched my blog at a whole new site, with a whole new look! Check it out, re-bookmark the new site, and follow me over there. Lots of new posts to read, like this post, Wouldn’t You Rather-Be-Shopping? Link to the new and improved Let’s Get Deals Today Home Page. Link to Let Restaurant.com Get Dinner Tonight‘s new and improved look. Busy life got your dinner plans in a tizzy? That old brown-bag lunch a little dull? Eating out a little too rich for your budget? What if you only had to spend $10 for a $25 meal? Bet you answered YES to at least one of these questions! That just shows how much you need to have dinner on Restaurant.com! What is Restaurant.com? 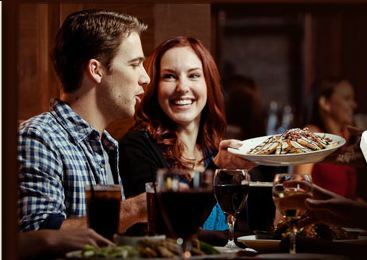 It is a dining-out experience whose motto is “Bringing Great People and Great Restaurants Together.” Restaurant.com fancies itself as the “great community matchmaker” whose sole purpose is to match you with an exceptional food deal at a restaurant in your neighborhood. With over 18,000 restaurants to choose from, Restaurant.com truly is a “matchmaker,” and they do it all while saving you money. So what’s the deal with Restaurant.com? For only $10, you can get a $25 restaurant meal certificate. Sometimes there are even better deals! You’ll want to sign up for a Restaurant.com account to get the latest special deals. Bottom line: if it is a Restaurant.com restaurant, it will be bargain. Now that’s something you can sink your teeth into! What foodie’s not going to love this concept? How do you get a Restaurant.com deal? It really is quite easy. First, sign up for a Free Restaurant.com Account. This will provide you with the inside scoop and special deals delivered right to your e-mail. Next: Find your restaurant! All you need is a zip code or a city name, and you are ready to Find Restaurants in Your Area. Once you have the list of choices, you can pick the offer that best fits your eating pleasure. Many of the restaurants will have more than one offer to choose from, and to help you make your decision, specific details about the restaurant and sometimes even menus, are available for you to review before purchase. Then, select your deal, add to cart, and check out. Boom. Done. Savings achieved. Want even bigger savings? Ask and we shall deliver! Buy your Restaurant.com deal through Mr. Rebates and right now earn an additional 25% cash back. Gotta love that! Learn more about Mr. Rebates at Save More With Mr. Rebates! Special Delivery! Want your food delivered? Restaurant.com has partnerships with several online food companies who will do just that. Really! You can get food delivered right to your door with a Restaurant.com Online Partners purchase. Selection is limited, though. Need a gift? 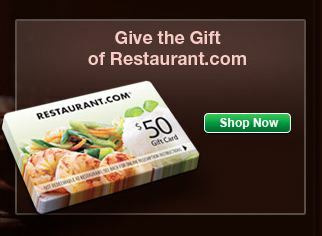 Why not give the gift of dinner with a Restaurant.com Gift Card. Nearly everybody likes an occasional meal out on the town, and these prices are so good, you can give two dinners instead of one. Your foodie pal is sure to find a restaurant to please her palate. Best of all, these gift cards are free and don’t expire. What’s not to like about this gift! How much will you spend on a Restaurant.com gift card? Not face value! Here’s a sampling of what you’ll pay: $15 for a $25 gift card; $40 for $100; $100 for $500. The larger the dollar amount you buy, the more money you save. How bargain-sweet is that! Restaurant.com offers several gift options to treat that special foodie to dinner. Gift Cards: Send an incredible edible gift straight to their door. Just remember: these cards are sent by mail so factor in delivery time. eGift Cards: Need a last minute gift? eGift card to the rescue. eGift cards are sent by e-mail, or printable immediately upon purchase. Send an eGift this afternoon and your food-fan can use it for dinner tonight. Dinner of the Month Club: Gift your favorite foodie pal a monthly $25 eGift card and get a little something for yourself in return. For every Dinner of the Month Club order, you get a free bonus eGift card. So go on, splurge! Your best value: Buy a 12 month club membership for only $120, and you get a $50 bonus eGift card to treat yourself to dinner. Received a Restaurant.com gift card? Want to know how to use it? Follow these simple steps to Redeem Your Gift. All you need is your gift certificate ten digit number, a zip code for where you would like to dine, and you are ready to find your dining pleasure. Purchase Restaurant Deals On The Go. Let the app solve your dinner-time dilemma using location-based technology. Paperless Redemption. Simply present your Restaurant.com transaction via your phone and always have the deal on hand. A Traveler’s Companion. On vacation? Need food? Mobile app to the rescue! Let R.com find restaurant deals near you. Don’t be late! You won’t get lost with the built in mapping directions features. Pre-Purchase Advice: Please make sure you read any restrictions regarding a Restaurant.com deal before you buy. Some may have a minimum purchase amount, may have required gratuities, exclude alcohol, and some may have no restrictions whatsoever. Just be sure you know what you are buying so you don’t have any rude surprises at your restaurant. So what’s for dinner at your house tonight? Have you bought a Restaurant.com deal before? Have you gifted Restaurant.com? Let us know in the Comments section below. We’d love to share your experiences with everyone else. 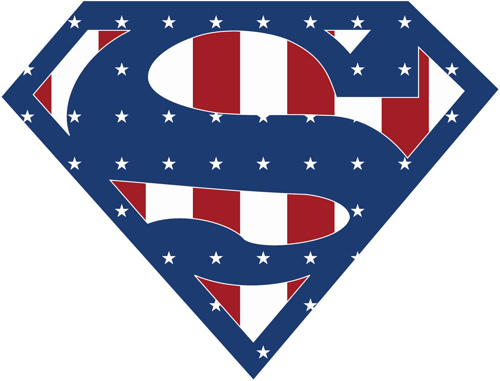 It’s Presidents’ Day: Celebrate with a Sale! Celebrate Presidents’ Day with a little shopping. Or maybe with a lot of shopping. Why? Because of the Presidents’ Day Weekend Sales of course! Where are the biggest deals this weekend? Think off-season or end-of-season. Think fashion clothes and winter-wear, mattresses, flat screen TV’s and laptops. You’ll find the best deals on 2011 close-outs, left-over fall and winter clothing, and last year’s toys. Retailers are bringing in Spring, and need to unload inventory. That’s not to say you won’t find a good deal on a super Spring outfit, though! Get $10 Kohl’s Cash for every $50 spent through Sunday, February 19th. 30% off the entire stock of Kohl’s exclusive Rock & Republic line. Got a Kohl’s Card? Then receive an extra 15% minimum off your purchase. If you received a Kohl’s mailer with a peel-off coupon, your savings could be as much as 30%! Free shipping for online orders over $75. Shop online through Mr. Rebates and get another 3% cash back. Want more “value-packed” purchases? Use your Kohl’s charge card for every purchase in 2012 and when you reach $600, you become a Kohl’s Most Valued Customer. You’ll now get exclusive discounts of 15-30% off at least 18 times a year, and your own personal shopping days. Online: 20-25% off regular and sale prices, and 25% off clearance prices, with promo code PRES. In-store: Print this In-Store Pass to receive the 20-25% off deal too. Have a Lord & Taylor card? Use it and receive an additional 10% off savings. Use promo code PRESPLUS for online purchases. Shop online through Mr. Rebates and add yet another 8% cash rebate! If you have a local Lord & Taylor store, consider making your purchase online to maximize your savings with the Mr. Rebates offer. You can always return items locally to save return shipping fees. Up to 30% off Kenmore appliances and up to 15% off other brand appliances. Up to 50% off tools of all kinds. Use code, SHIP4FREE for free shipping of qualifying orders of $99 or more. Use code SEARSFEB for 15% off shoes and fine jewelry. Use code HOMECRAFT for 10% off Homecraft custom blinds. Use code STOYS20 for 20% off $200 or greater toys and games purchases. Use code SODL20 for 20% off $200 patio and grill purchases. Make your online purchase through Mr. Rebates for another 3% cash back. In-store: Print this Macy’s President’s Day Printable WowPass for an additional 15% off. Online: Use promo code PRES for 15% off and free shipping. Save $10 with The Biggest Denim Event of the Season. No coupon code required! Just a pair of qualifying jeans. Sleep better tonight when you take advantage of the Macy’s Mattress Sale. That old sofa looking ratty? Macy’s Furniture Deals has a new one for you. Check out Online Deals and Promotions, for a complete list of current online only specials. Make an online purchase through Mr. Rebates and receive 3% cash rebate. Ann Taylor 40-50% off sale: Celebrate in style with Ann Taylor’s 5 Days of Style Sale. This weekend only: Keep stylishly warm in the months ahead with 40% off sweaters and 50% off suits, jackets and pants. Online orders use promo code ANNSPRING. Don’t forget to check out the sales racks and treat yourself with Ann Taylor’s extra 50% off sale styles. No code needed for this deal! Loft 30% off Sale: Be a star in stripes with Loft’s President’s Day Event of 30% off any full priced item and free shipping for online orders of $125 or more. Use promo code PRESIDENT for online purchases. For a limited time, get two $25 Savings Cars for every $50 you spend. Loft Markdowns are also quite presidential this weekend, with savings up to 75% off original prices. The Gap Red White and Blue Event: Does up to 40% off select styles sound like a deal? Then head on over to The Gap, where you will find on sale a wide selection of clothes for the whole family. All online orders over $50 ship for free. Shop online through Mr. Rebates and get a 3% cash rebate. Sahalie 10-15-20% off sale: Shop this online only clothing retailer and get as much as 20% off your order. Use promo code 14907, and for orders greater than $99, get 20% off. Don’t want to spend that much? Use the same code for 15% off $79, or 10% off $59 orders. Go through Mr. Rebates for another 2% cash back. Barnes & Noble’s All Hail! President’s Day Savings Event: Read all about it at Barnes & Noble’s! Save an extra 15% off any one item. Use promo code A4L3E8W for online purchases; print out the coupon for in-store purchases. 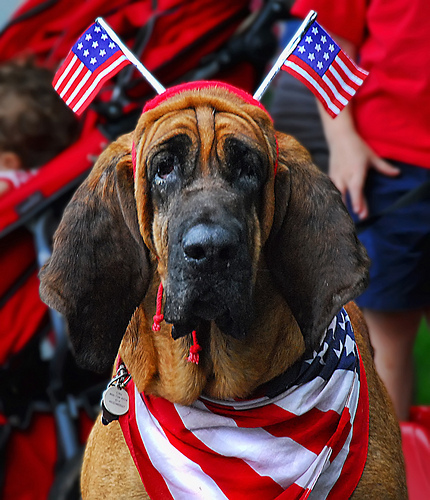 PetSmart Dollar Days Sales Event: Pamper your patriotic pet with PetSmart So many sale items to choose from! Use promo code SALE15 and get another 15% off online purchases of $100 or more. Don’t get left out in the cold this Presidents’ Day Weekend! Shop early for best inventory, shop online for best deals, and save yourself some George Washington’s. And maybe some Lincolns, Hamilton’s and Jackson’s too! Want to learn more about Mr. Rebates? Read this blog, Save More With Mr. Rebates. Are you planning to shop weekend? What will you be shopping for? Where do you plan to shop? Will you be online, or in stores? Let us know in the Comments section below. What is Coupon Cabin? Coupon Cabin is your one stop website to greater savings. How? By compiling all types of coupons and deals into one website, Coupon Cabin brings the savings to you. No need to spend your valuable time scouring the web for coupons and deals anymore! What kinds of coupons can you find at Coupon Cabin? The question really is, “What coupons CAN’T you find at Coupon Cabin!” There are so many categories and selections to choose from. Coupon Cabin’s staff tracks the coupon world for you, saving you the work of hunting through all those consumer e-mails, online coupon forums, blog sites, merchant sites, or wherever else you might hunt for coupons. Coupon Codes: Shopping online? Then don’t forget to use the Coupon Codes page to maximize your savings. With access to over 100,000 up-to-the-minute coupon codes and deals for nearly 4000 different online retailers, there’s a lot of savings to be had at Coupon Codes! Best of all: the coupon codes are easy to use and provide instant savings for your online purchases. Coupon Cabin also has exclusive coupon codes from select retail merchants that are only available through its website. You won’t find these coupons anywhere else. Just remember: coupons in this section are for online shopping only. Grocery Coupons: Need to trim the fat off your grocery bill? Then you need to follow Grocery Coupons. Here you will find the latest price-saving coupons to pare down the cost of your groceries. Coupon Cabin’s Grocery Coupons section has one of the most extensive collection of free printable grocery coupons on the internet. Yes, you can feed your family for less when you use Grocery Coupons! Printable Coupons: Shopping at your local brick and mortar store? Don’t leave home without Printable Coupons! These coupons are a quick and easy way to rack up additional savings for a wide variety of retailers. Bet you can find several near you! Simply print out your coupon, and you are off to greater savings. Free Samples:Who doesn’t like free stuff? Coupon Cabin certainly does! Free Samples provides links to all kinds of free goods: full-sized product samples to trial sized samples to newsletters and anything inbetween. Sometimes you might need to “Like” the manufacturer on Facebook or provide an e-mail address; other times simply print out the coupon and go get your freebie. 2. 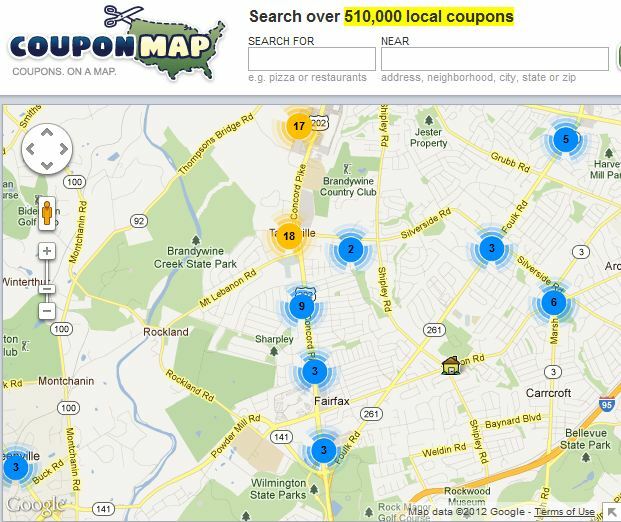 CouponMap Page: Want an easier way to find coupons for local brick and mortar businesses? Coupon Cabin’s CouponMap has your answer. 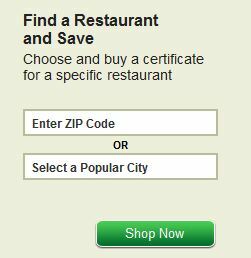 Put in the desired zip code and let CouponMap find coupons specific to that area. Make sure to zoom out to enhance the range of available coupons. What a great idea! 3. GoGrocery Page: Printing grocery coupons has never been easier! Coupon Cabin’s sister site, GoGrocery, posts the most up-to-date manufacturers’ grocery coupons on its easy to use page. Simply check off the coupons you want, send to your local printer, and you are good to go. GoGrocery even adds up your selected coupon savings for you. Sign up to receive the daily Coupon Cabin Newsletter and get the latest and greatest coupons delivered right to your inbox. You can also customize the newsletter to receive coupons only in those categories that best fit your shopping needs. Have a favorite store? Then sign up to receive e-mail alerts when Coupon Cabin adds a new coupon for that store. Simply look for the purple box on each store page, then enter your email address. Want to be the first to know when a new freebie is available? Be sure to sign up for e-mail notification on the Free Samples page. Do you have a specific grocery item you buy every week? Then sign up for a specific product e-mail notification and Coupon Cabin will e-mail you when a coupon is available for that item! Much easier than searching every week. Have a Twitter account? Follow Coupon Cabin on Twitter and receive immediate notifications of new coupons. Too many coupons? Only interested in some of the coupons? Coupon Cabin makes it easy to follow only those coupon categories you like by having a different Twitter handle for each main category. You follow only those coupon categories that most suit your shopping style. Shopping online but often forget to “hunt down” a coupon code? Coupon Cabin has an answer for that too! 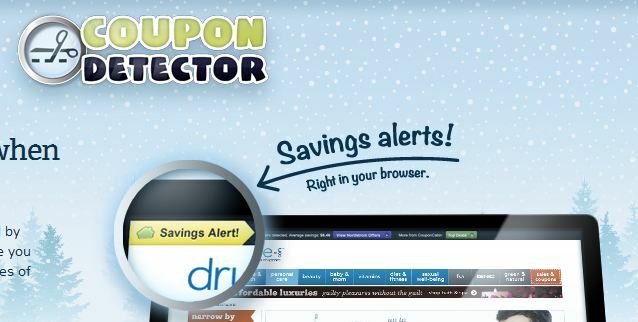 Download their free browser extension, Coupon Detector, and never miss another online deal. Click on the link and read more about how Coupon Detector can ensure you maximize your savings. Are you ready for “Coupon Cabin Fever” now? Are you a “couponer”? What’s your favorite coupon website? Do you use Coupon Cabin? If you haven’t used Coupon Cabin before, think you might now? Let us know in the Comments Section below.